Dell announced expansions to its networking portfolio to address growing complexities in campus networking and skyrocketing bandwidth demands in the data center. 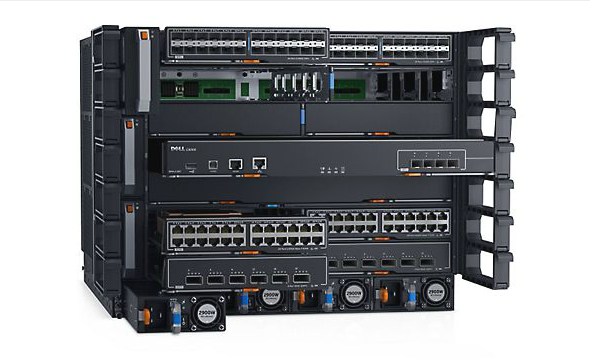 For the campus, Dell introduced a new unified-campus architecture powered by the new Dell Networking C9010 Network Director switch and companion C1048P Rapid Access Node. In the data center, Dell debuted the Dell Networking S6100-ON, combining multi-rate connectivity, modularity and open networking to deliver unparalleled in-rack networking flexibility. Designed for mid- to large-scale campus environments seeking improved scalability combined with simplified management, the new Dell unified-campus architecture provides a single management view for the entire campus from access to core. This provides a single point of control for quality of service, policy provisioning and software upgrades, as well as for programming software-defined attributes. Additionally, through the use of industry-standard protocols, the new Dell campus architecture can be jumpstarted using existing Dell campus investments by re-deploying Dell Networking N-series switches as access nodes.